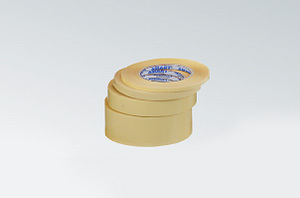 Double-sided adhesive tape with a bi-directional orientation of polypropylene carrier coated with a transparent adhesive synthetic substance. 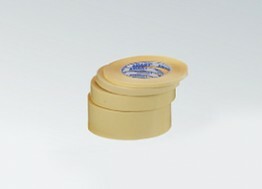 Secured double veneer silicified yellow. Due to its characteristics it is a tape fairly common use amongPE laminating, used for the production of leather goods for bonding polyester and polyethylene foams, tiles, advertisements, envelopes. Transparency of the product allows its use wherever aesthetics and precision joints are the most important, and very good adhesiveness ensure the stability of the entire surface of the fixture.